Dr. Katy Bollwerk enjoys all aspects of emergency medicine. 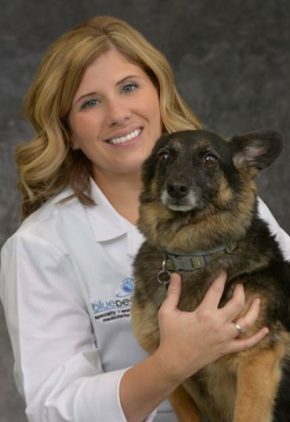 Dr. Bollwerk spends her time with her husband, two children and cat, Crusher. She enjoys revitalizing furniture, painting and swimming. Dr. Kim Gugler loves that in one night she can perform ultrasounds, read radiographs, fix lacerations and perform major abdominal surgery. She is especially interested in toxicology cases. 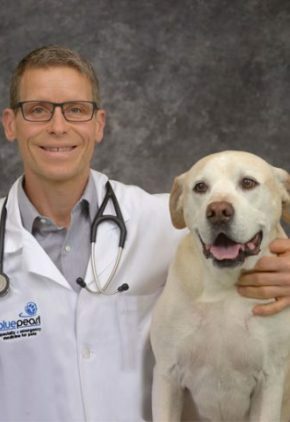 Dr. Gugler is an active volunteer and an avid scuba diver, gardener, traveler and bookworm. She makes jewelry and other artwork from fused glass and loves sharing what she grows in her garden. 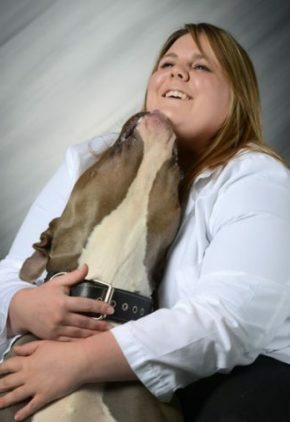 She has an American bulldog named Linkin, a cat named Grey Goose, and two chinchillas named Phillipe and Isabeau. 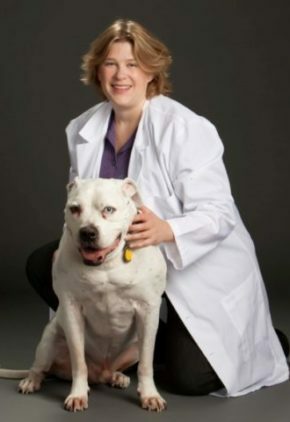 Dr. Heather Kvitko-White's particular clinical interests include kidney and bladder diseases; feline health and handling; endocrinology; immune-mediated disorders; and gastroenteric and hepatobiliary diseases. She is experienced in ultrasound as well as a number of minimally invasive procedures to include cystoscopy, rhinoscopy, gastrointestinal endoscopy and bronchoscopy. 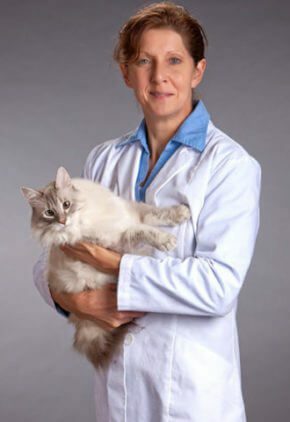 Dr. White is involved with the American College of Veterinary Internal Medicine (ACVIM), and is also a consultant for the Veterinary Information Network (VIN) in the topics of internal medicine, urology and nephrology. Dr. Kvitko-White's favorite pastimes include running, playing ice hockey, watching professional golf, listening to audiobooks and traveling. She is married and has two daughters. The family pets include German shepherd/dachshund mix Lola, and cat Lt. Dan. Dr. Tonia Rushing enjoys all aspects of emergency medicine. Dr. Connie Schulte started in human healthcare and spent the first 16 years of her career treating people. In addition to her canine rehabilitation certification, she is also certified in canine massage. 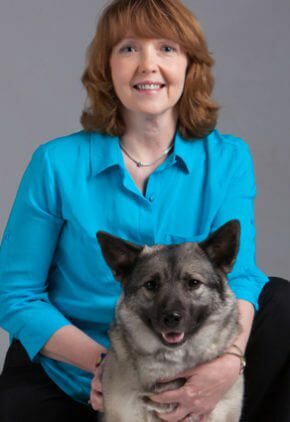 Dr. Schulte spends much of her free time training her three dogs to compete in conformation, obedience, agility, rally and tracking. She also enjoys relaxing at the lake with her family. Dr. Lara Skoglund's particular interests include toxicities, laceration repairs and neurologic diseases. Dr. Skoglund enjoys hiking, fishing and camping. She has two furry family members. Oscar, a cat, is very talkative, and Ebony, her lab/shepherd mix is the opposite, quiet but playful. 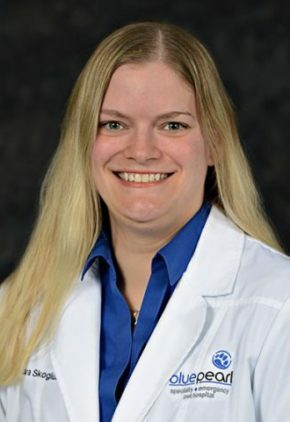 Dr. Katherine Spry's special interests include endocrine and gastrointestinal diseases. Dr. Spry stays busy with home restoration, woodworking, gardening, spending time with friends and trying to keep up with her pets. Dr. Cory Stamper especially enjoys treating Addison’s disease. Dr. Stamper likes outdoor activities, traveling, cooking, DIY projects and staying involved with his church. He also likes playing the violin. The family dog, Blanco Mendez, is a yellow lab/pit bull mix.